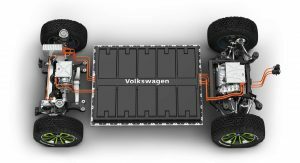 VW has announced it is allowing other manufacturers to use its Modular Electric Toolkit (MEB) architecture so that EVs can gain traction. “The purpose is to achieve a significant reduction in the cost of e-mobility through the widest possible deployment of the MEB and the associated economies of scale, thus enabling broad access to individual mobility to continue in future,” Volkswagen said in a statement. The carmaker has already identified a company that wants to use the MEB architecture: Aachen-based e.Go Mobile AG, maker of the Life electric city car. The startup will be the world’s first external partner to use the electric platform. VW says a dedicated vehicle project is already being planned. 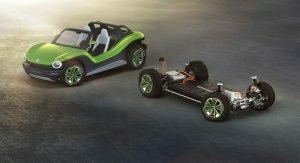 At the Geneva Motor Show, Volkswagen will showcase the MEB’s suitability even for small series production with the ID Buggy concept car. “The MEB is to establish itself as the standard for e-mobility. Based on the MEB, we will make individual mobility CO2-neutral, safe, comfortable and accessible to as many people as possible. 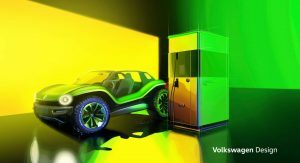 Because the MEB even makes the cost-efficient production of emotional small-series vehicles like the ID Buggy possible,” said Dr. Herbert Diess, CEO of Volkswagen AG. The German carmaker is investing almost €44 billion ($49.8 billion) in electrification, digitalization, mobility services, and autonomous driving through 2023. 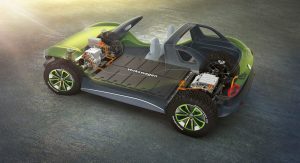 Of the total amount, €30 billion ($34 billion) is for e-mobility alone, as VW expects EVs to account for approximately one-quarter of its model range by 2025. 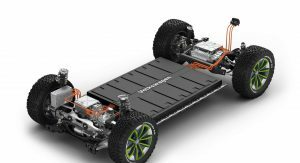 In the first wave alone, the Volkswagen Group is expecting around 15 million pure electric vehicles to be built on the MEB platform across the VW, Audi, Skoda, and Seat brands. Oh my f-ing Gahd… Enough of the vapor. It’s been forever that they’ve been talking about this. Build it already! Just start with one GD vehicle. It’s not vapour, there is the VW ID coming very soon. 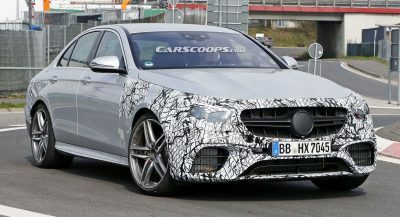 There are for some time now prototypes driving around in a very advanced stage. VW has a habit, repeated hundreds of times, where they launch a concept, rework it another hundred times and then stick to making the UP, Polo and Golf, the same every year, because they have no imagination. Just like Audi with the Q1, Q2, Q3, Q4, Q5, Q6, Q7 and Q8, all looking identical and with no imagination at all. Boring as usual. Brilliant. Standardize the industry on your platform. This won’t just see the imperial dominance of VW spread but just as the EU is overly dependent on Germany, the car industry may some day become overly dependent on VW. 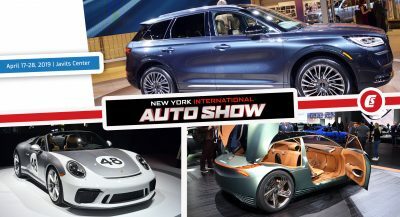 I see FCA, jaguarLR as probably the first major clients to line up for this. I don’t like that it’s VW doing this but this is a smart idea. 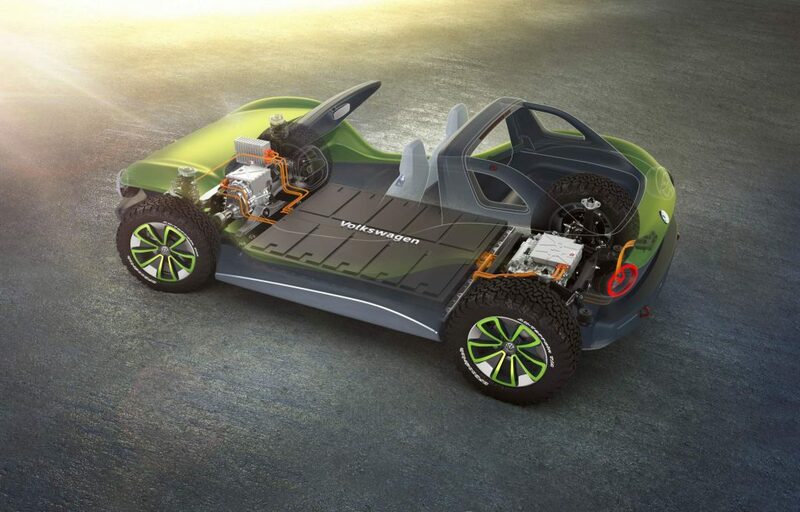 I’m still not convinced that EVs are the future, but that electric beach Buggy concept looks pretty cool. Tough to fine a plug when you’re out on the sand dunes, but what ever!